BetClic Everest Group’s German-facing subsidiary Bet-at-home AG enjoyed a nearly 81% earnings gain over the first half of the year. Bet-at-home reported revenue up 6.9% to €56.7m in the first six months of 2015 as betting and gaming stakes rose 8.8% year-on-year to €1.17b, despite last summer having enjoyed a boost from the FIFA World Cup. 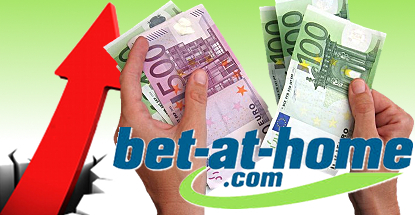 But the lack of a World Cup cuts both ways, as Bet-at-home saw marketing expenses fall by €5.8m to €9.4m in H1. Despite the reduced promotional push, the company increased its registered customer ranks by nearly 8% to 4.1m. The marketing frugality also allowed the aforementioned €7.2m rise in earnings over the same period last year to €16m. 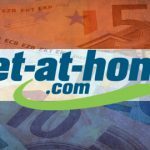 Bet-at-home’s earnings bonanza was doubly impressive given the additional €3.2m it was required to ante up to meet the European Union’s new value added taxes on electronic services, which kicked in Jan. 1. Other operating expenses were up €1.7m to €8.2m largely due to the increased betting volume. Based on its H1 performance, Bet-at-home now says full-year earnings of over €25m “appears realistic if the legal and tax framework remain unchanged.” And if Bet-at-home doesn’t sign any more sponsorship deals like its new shirt deal with Bundesliga side Hertha BSC, which German media sources claimed would cost the firm a cool €6m per year over the life of the three-year pact.